The Car manufacturers in India provide various safety features in a vehicle. Vehicles manufactured presently are much safer. One of the essential and primary safety requirement is seat belt. They are now being provided on mandatory basis by all manufacturers. Similarly, secondary restraint systems, such as airbags are also available in many vehicles models. 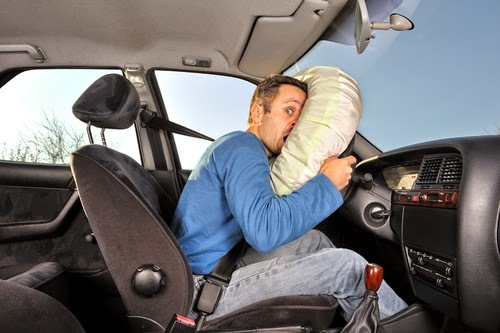 There are many car models that have airbags as a general feature along with the others, the cost of which is included in the total price of the car. The government plans to introduce mandatory Crash Regulations by the year 2017 for new models in the country, after the test facilities are developed within the country. This information was given by Minister of State in the Ministry of Heavy Industries and Public Enterprises, Shri G.M. Siddeshwara in a written reply in Lok Sabha today. The Government had set up an Expert Committee for an Auto Fuel Roadmap 2025. The Committee has given its recommendations to the Ministry of Petroleum & Natural Gas[MoP&NG] in May 2014. The same is hosted on the MoP&NG website. The final approval and notification is awaited. The Auto Fuel Policy lays down the roadmap for introducing Bharat Stage[BS] IV fuel and emission across the country by 2017, BS V by 2020/2021 and BS VI in 2024. Vehicular engines will be suitably upgraded by manufacturers to meet the advanced emission standards in the country. The Government has waived off the losses of some of the Public Sector Undertakings under the administrative control of this Ministry as part of the revival package, with the approval of BRPSE/ Cabinet Committee on Economic Affairs. The total amount waived off since 2005-06 till date is Rs.4216.49 crores. A plan inter alia involving fund/non-fund based support to Scooters India Limited was approved in 2013 by the Government for revival of the company. Fund/non-fund based support includes provision of Rs. 20 crores as interest free plan loan for working capital, infusion of Rs. 70.38 crores as equity for capital expenditure, conversion of plan/non plan loan of Rs. 85.21 crores into equity and waiver of interest of Rs. 26.37 crores. Following the order of BIFR in Miscellaneous Petition filed by the Company, sanctions have been issued for release of Rs. 20 crores as interest-free plan loan for working capital and for Rs. 31.90 crores (out of Rs. 70.38 crores as approved by Government for infusion as equity for capital expenditure). Sanctions have also been issued for conversion of plan/non plan loan in to equity and waiver of interest. M/s Instrumentation Limited, Kota have informed that they have always adhered to various clauses of purchase orders placed on Small Scale Industries (SSI) for procuring goods for them. Payments are cleared as per purchase order terms. However, due to financial severity there is delay in payment. All the accepted materials receipt vouchers are cleared for payments. However due to financial severity there is delay in payment. The goods supplied to customers, if rejected, SSI supplier is intimated about the same and material is returned to the supplier after receipt from customer. The list of payments due to SSIsis Annexed .Out of 38 SSIs, full payment has been made to 13 SSIs and part payment to 5 SSIs. M/s. Instrumentation Limited have informed that out of total Rs. 2.44 crore due payment of SSI as on 31.3.2014, payment of Rs. 1.28 crore has been released. Rs.12.49 lakhs is on hold due to rejections and will be due with the settlement of rejections. Payment of Rs. 1.02 crore is pending as on 12.03.2015 and will be released with availability of the fund. Out of 38 SSI, full payment made to 13 SSIs and part to 5 SSIs, Sl. No. 25-38 are SSIs added after March 2014. Out of total due payment of Rs. 24403383/-, payment of Rs. 12860826/- has been released. 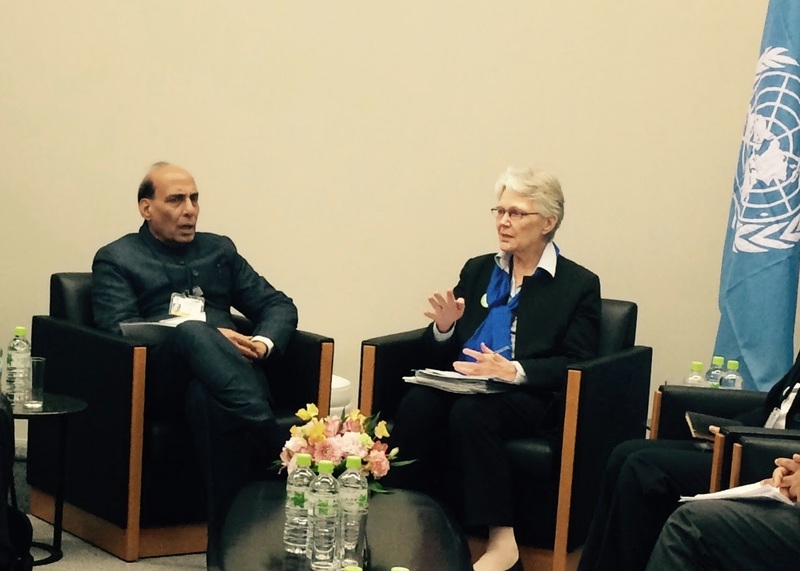 India will host the first Asian Ministerial Conference on Disaster Risk Reduction of the post-2015 era. This was announced by the Union Home Minister Shri Rajnath Singh during the 3rd UN World Conference on Disaster Risk Reduction being held in Sendai from March 14-18, 2015. He said the Indian government will take lead in hosting the conference in 2016 in collaboration with the United Nations Office for Disaster Risk Reduction. The Ministerial Conference is set to endorse a Regional Implementation Plan of the new post-2015 framework for Disaster Risk Reduction (DRR). This will form a key element of the initial global effort to implement the new framework. Shri Rajnath Singh said the decision demonstrated India’s strong commitment and leadership in the area of Disaster Risk Reduction in the Asia region. “One of the biggest challenges we are facing is promoting risk-sensitive development and reduction of impacts of disasters to protect the development gains,” said Shri Rajnath Singh. He requested participating countries to begin dialogue so that the Asian regional implementation plan for the post-2015 DRR framework can be agreed. In hosting the conference, Shri Rajnath Singh said, India is looking forward to showcasing its measures to mainstream Disaster Risk Reduction in development policies at all levels. On behalf of the Government of India, he pledged full support to the post-2015 Framework, its goals and priorities. He said India is committed to work with countries in the region and beyond in building resilient nations and communities, through capacity building and training in association with UN Office for Disaster Risk Reduction. The Special Representative of the UN Secretary-General, Ms Margareta Wahlström congratulated India’s decision to host the Conference. She said that with India’s strong support and leadership, the region can take a leap in implementing the post-2015 framework for Disaster Risk Reduction.